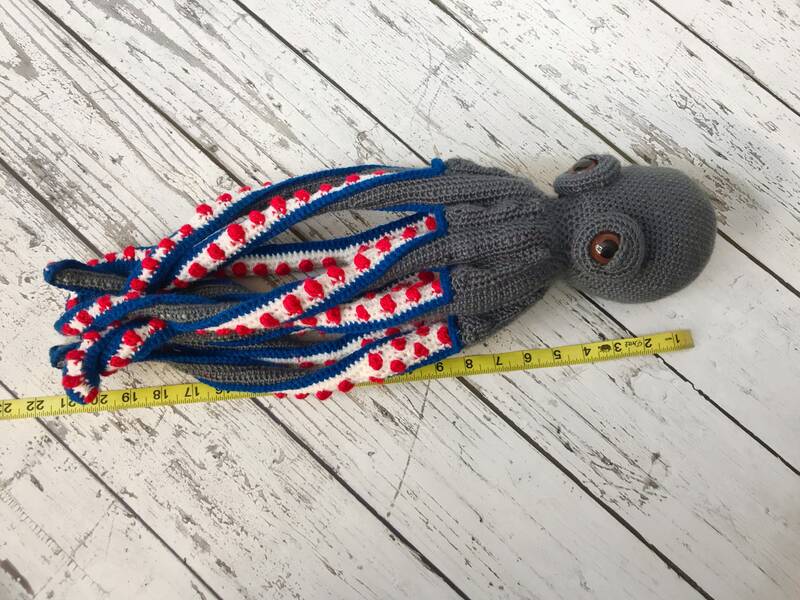 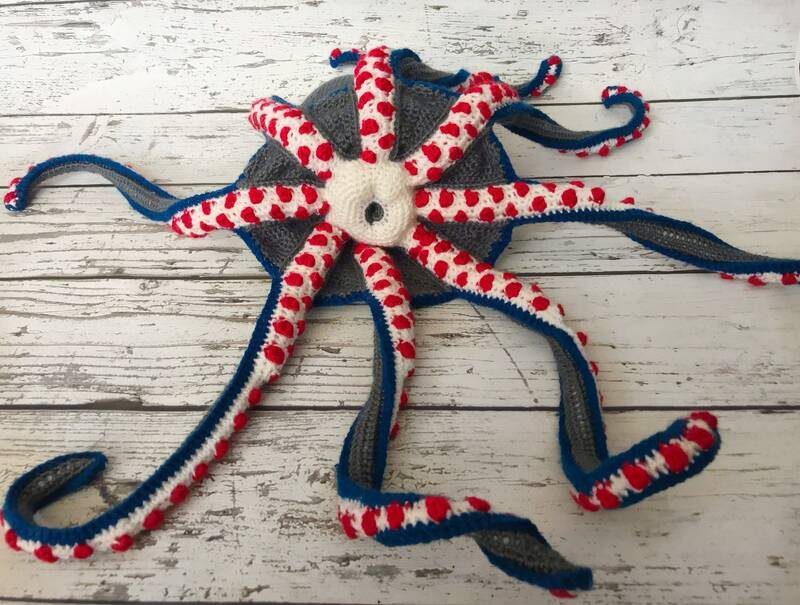 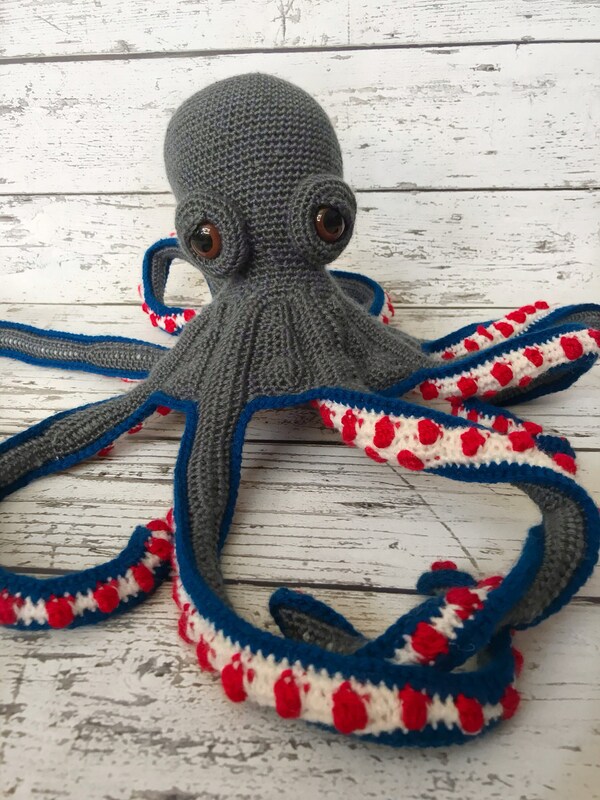 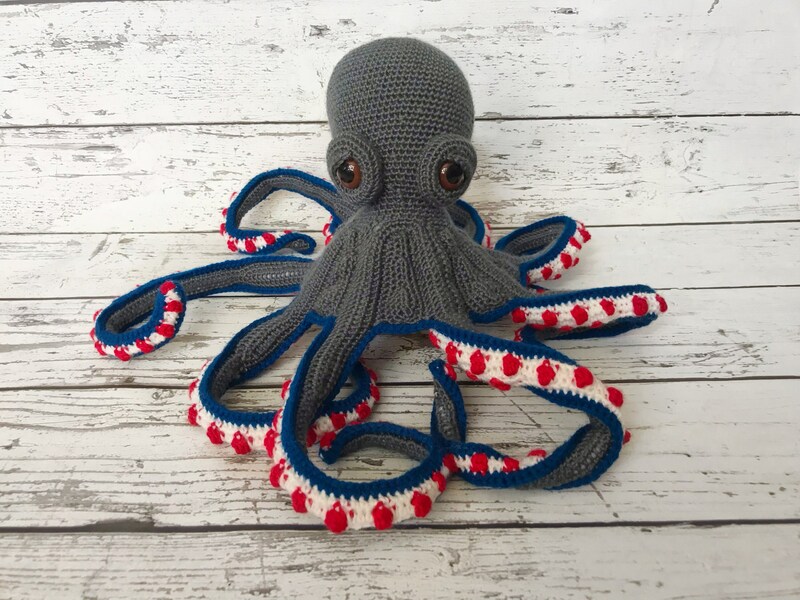 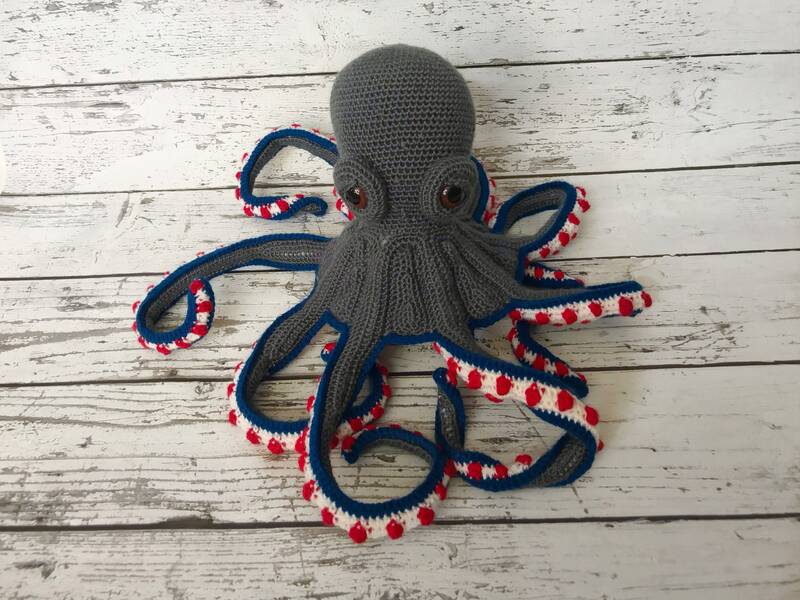 This cute octopus is perfect for any child to snuggle and play with! 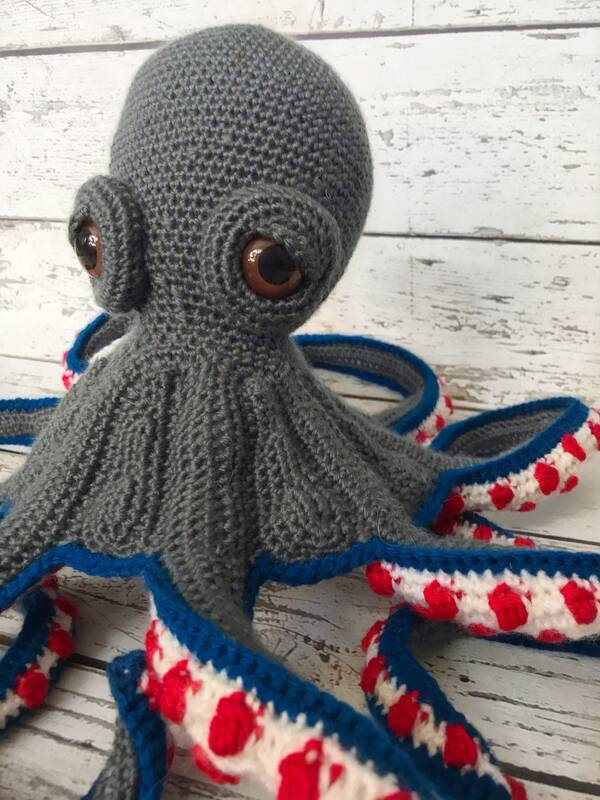 The octopus has been crocheted with love out of soft yarn. 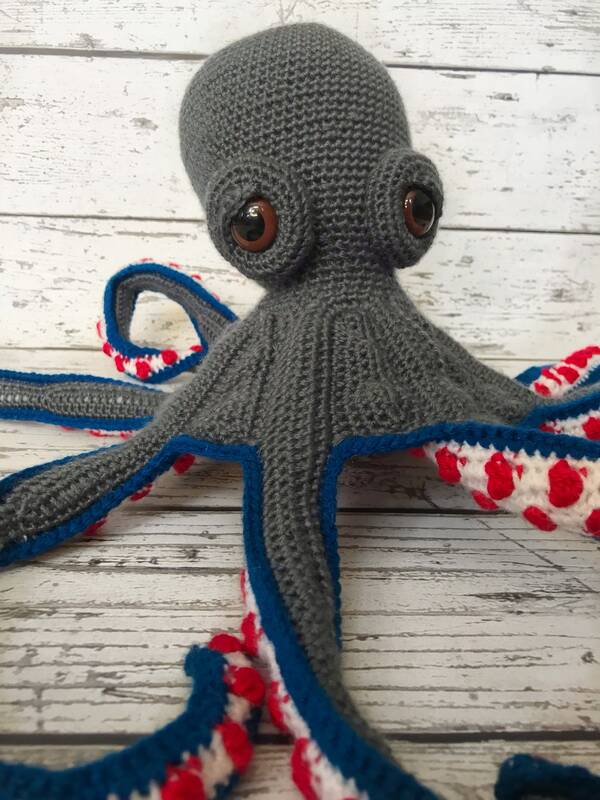 Crocheted stuffed animals make great nursery decor and as baby grows, they can snuggle and play with the soft animals! 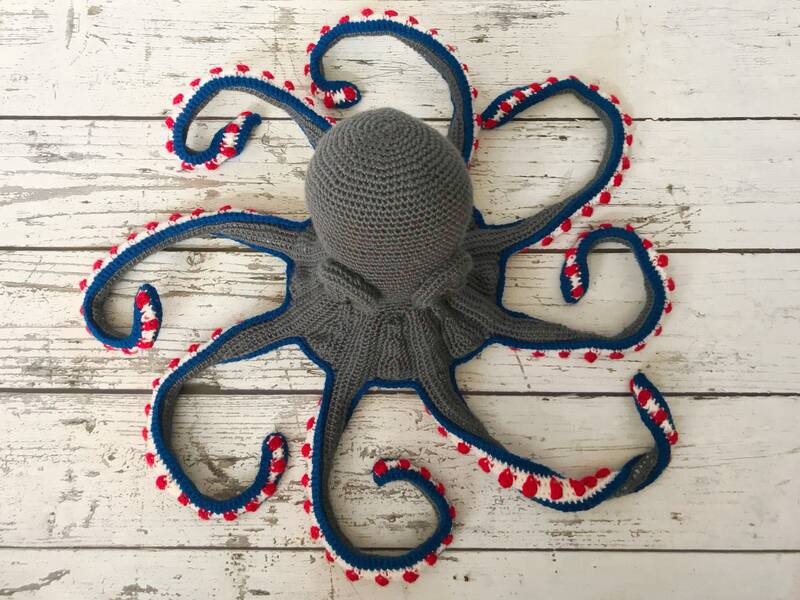 Makes a perfect baby shower, birthday, or just because gift!